“Green Labs” is the primary term used for programs that help laboratories reduce their footprints without compromising research quality or safety. This team-based approach focuses on minimizing the use of energy, water, and materials while improving efficiency. UC San Diego’s Green Labs program was formed in 2013 and its efforts engage laboratory faculty, staff and students in performing assessments, reducing waste and improving recycling, replacing inefficient equipment and transitioning to best practices. The Green Labs team meets the second Wednesday of the month at 9–10 a.m. in BRFII 5A03. 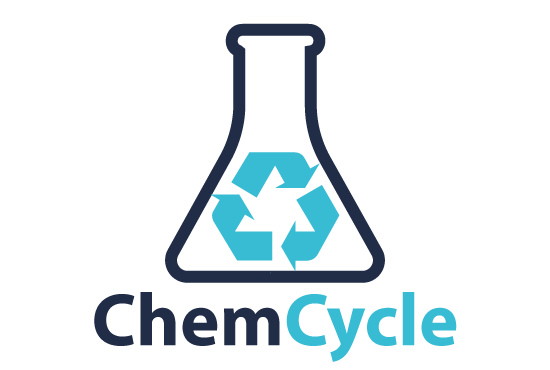 Environment, Health & Safety operates Chemcycle, UC San Diego's chemical recycling program that allows researchers to obtain free chemicals and donate usable surplus chemicals. My Green Lab is fundamentally and permanently improving the sustainability of scientific research. A California 501(c)(3) nonprofit, they were formed to unify and lead scientists, vendors, designers, energy providers and others in a common drive toward a world in which all research reflects the highest standards of social and environmental responsibility. Run “for scientists, by scientists,” they leverage their credibility and track record to develop standards, oversee their implementation and inspire the positive behavioral changes throughout the scientific community. My Green Lab developed the Green Lab Assessment Tool that UC San Diego’s Green Labs Certification Program uses, in partnership with UC Davis, UCLA, UC Santa Barbara, UC Santa Cruz and UC San Francisco. This assessment delineates the key components of a safe, sustainable laboratory and encourages implementation of best practices. All UC campuses have, or are developing, Green Lab Certification programs to incentivize and reward researchers who adopt more sustainable lab practices. Through energy use audits, equipment replacement and implementing operational best practices, these certification programs can achieve significant energy savings. Do you turn off lights when you leave for the day, print double-sided and have your computer set to “sleep” instead of displaying a screen saver? If so, you’re on your way to becoming a certified lab! The assessment survey recognizes the good practices you have in place already and allows us to provide simple suggestions to help your laboratory become a safer, more sustainable workplace. A lab can add this formal certification to grant applications to leverage its commitment to sustainability. And, certified labs receive several additional certification incentives. Schedule a 15-minute appointment at your lab to discuss the Green Labs certification process. The UC San Diego Green Labs certification team will send you the online survey assessment. Once 50% of your lab’s full-time staff (anyone working 30 hours/week or more) have completed the survey, our consultant will calculate the results to determine the certification score. Schedule a time for the UC San Diego Green Labs certification team to present the assessment results to your lab members. Certified labs are recognized at UC San Diego's Annual Sustainability Awards ceremony. Thermo Fisher Scientific (formerly Life Technologies) Styrofoam Container and Gel Pack Reuse Program – You can drop off your clean Styrofoam coolers and gel packs next to the UC San Diego Core Bio Services receiving doors and they will return them to Thermo Fisher Scientific for reuse. UC San Diego Core Bio Services offers high-quality biotech products and services at competitive prices for the campus research community and the San Diego biotech community. By ordering through Core Bio Services, you will reduce your purchasing environmental footprint. UC San Diego Surplus Sales serves as an outlet to reutilize, liquidate, recycle and dispose of excess university property. Campus department buyers and the public are welcome to view surplus property from 8 a.m. – 4:30 p.m. weekdays at the warehouse located at 7835 Trade St. San Diego, CA. 92121 behind Ste. 100 (Northeast corner of the building). Surplus Sales also offers recycling services to campus departments for metal, electronics, CRT LCD monitors and refrigeration equipment. Green Labs Excess Packaging Notification Form – Report excess packaging that you receive from vendors. Newly certified and recertified labs are eligible to receive 40% off a one-time quote/purchase of over 1,200 Thermo Fisher greener products (excludes capital equipment and custom products). Price quote valid for 30 days upon date of issue — unlimited quantities with quote. For details, email greenlabs@ucsd.edu. XS TaqMan gene expression assays are now $49.49 at UC San Diego (Cat. # 4453320 and 4448892). See the TaqMan Assay Search Tool and get details about these assays that ship ambient. Receive a free case of VWR centrifuge tubes when certifying your lab! Get details about these tubes made by a small business. The freezer subsidy program offers university labs a chance to save money and become more energy efficient. If you need to replace a freezer or are about to purchase a new one, we encourage your lab to purchase an energy-efficient freezer. Facilities Management offers a $1,600 rebate to help offset the cost of ENERGY STAR® rated upright freezers with less than 30 cubic feet capacity. To find an ENERGY STAR® rated model, visit ENERGY STAR ULT (-80C) Freezers. See details (PDF), which include how to properly defrost your freezer and moving service form. For more information, contact greenlabs@ucsd.edu.